Isn’t it fun to learn about Hollywood stars’ lives from before they were famous? Meryl Streep and Sandra Bullock were cheerleaders in high school, and a surprising number of now-famous leading men cleaned restrooms to pay the bills. Equally fun is checking out some of these stars’ early works in films that may have—but often didn’t—get them their lucky breaks. Here are a selection of movie stars and some of their earlier works that are worth a look —and a laugh. 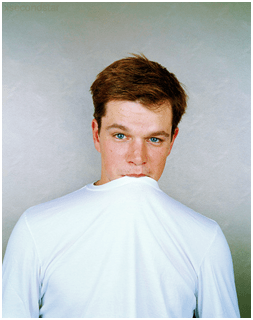 Matt Damon image from Flickr’s Creative Commons by <3.xsecondstar. Ardie Freeman is an avid blogger, movie watcher and gardener. She lives in L.A. and keeps tabs on what’s happening in Tinseltown for a variety of websites.